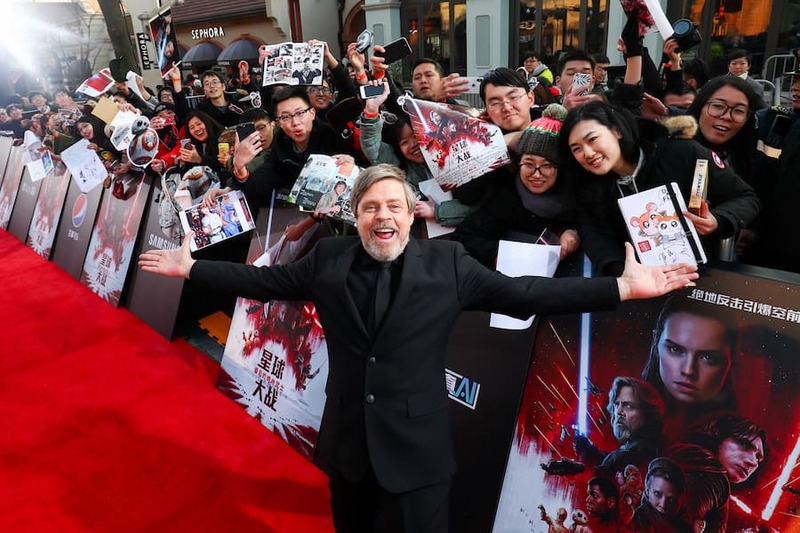 More than two weeks ahead of its public release in China, Star Wars: The Last Jedi made its debut at the Walt Disney Grand Theatre at Shanghai Disney Resort. 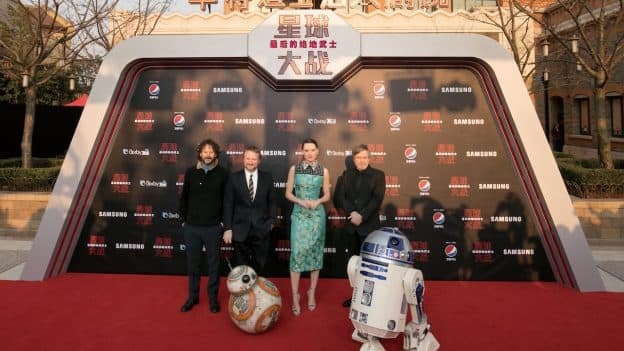 Fans lined the red carpet in costume for a glimpse of Daisy Ridley, Mark Hamill, director Rian Johnson and producer Ram Bergman – not to mention BB-8 and R2-D2. 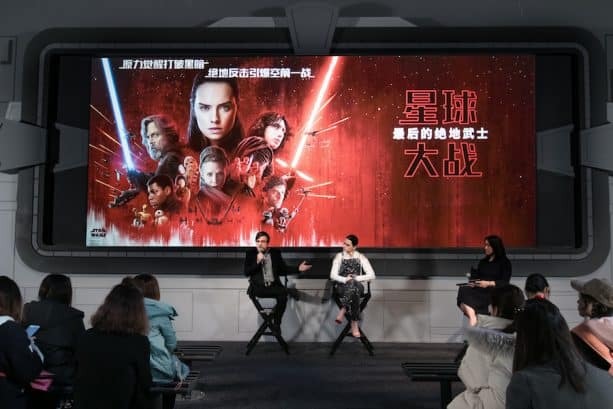 Ahead of the premiere, the cast and crew shared a few behind-the-scenes stories and presented lightsabers to four young Jedi apprentices. 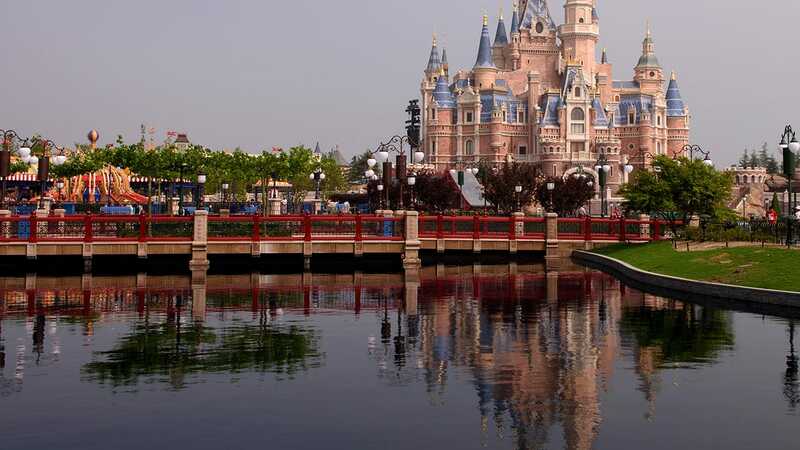 They also visited Star Wars Launch Bay at Shanghai Disneyland, where they encountered Kylo Ren and caught up with C-3PO. 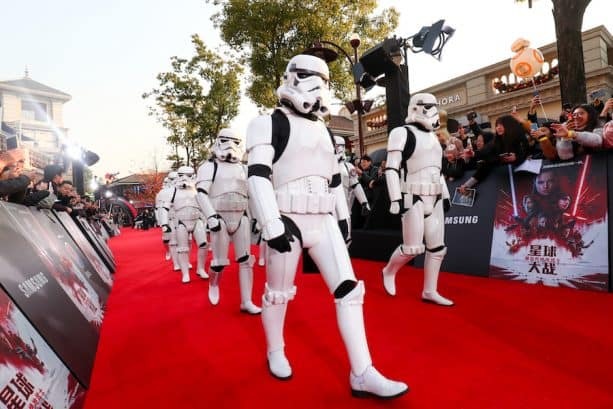 A processional of Stormtroopers crashed the party, but the Force prevailed and the night ended in applause.